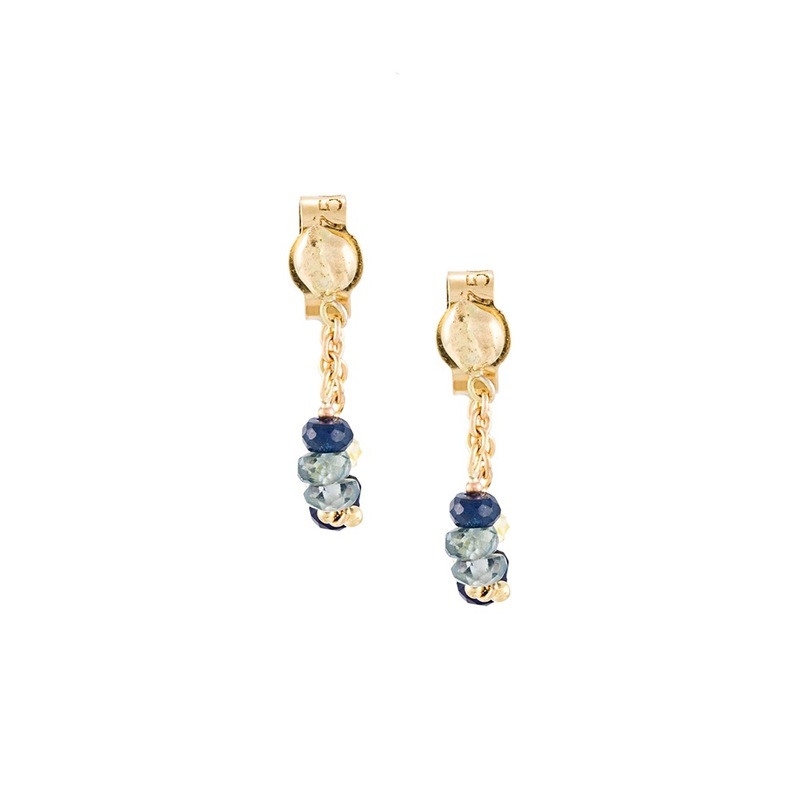 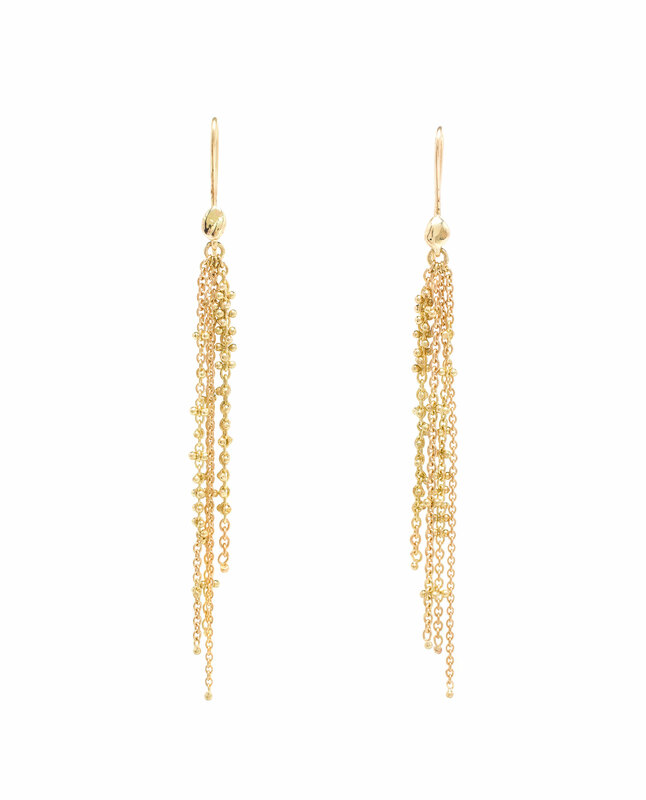 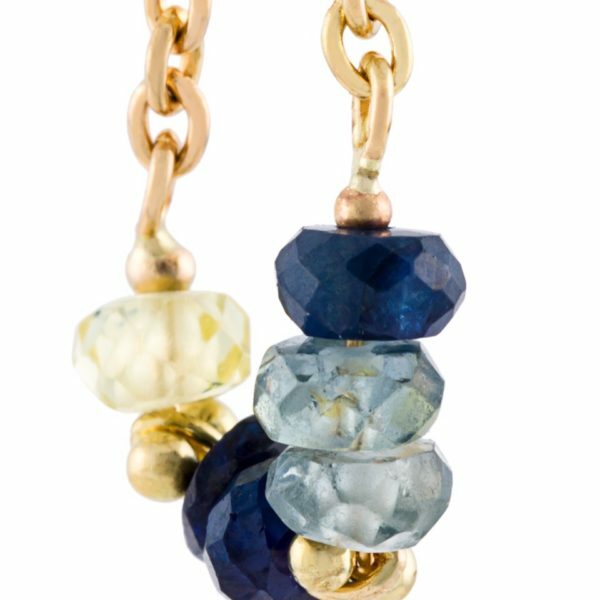 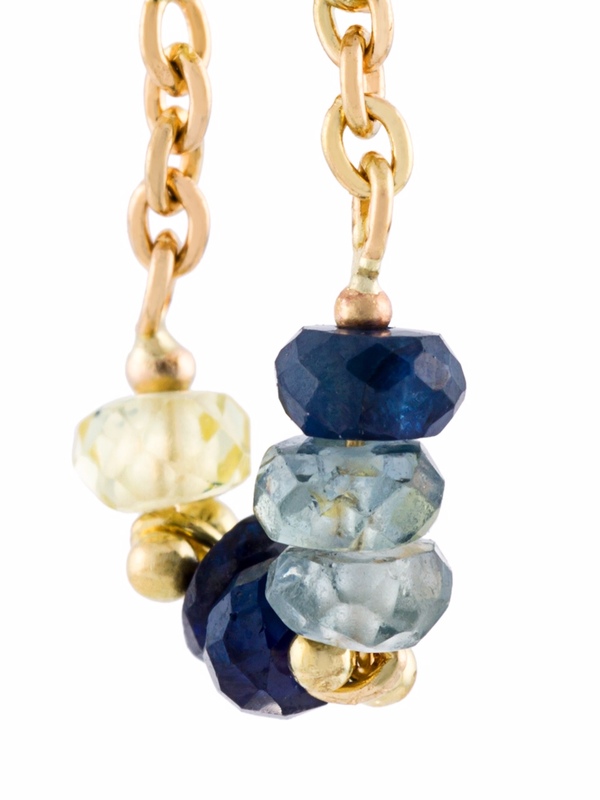 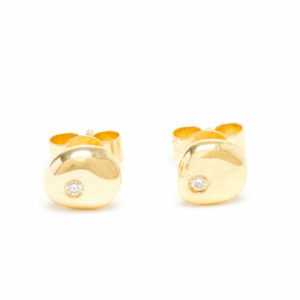 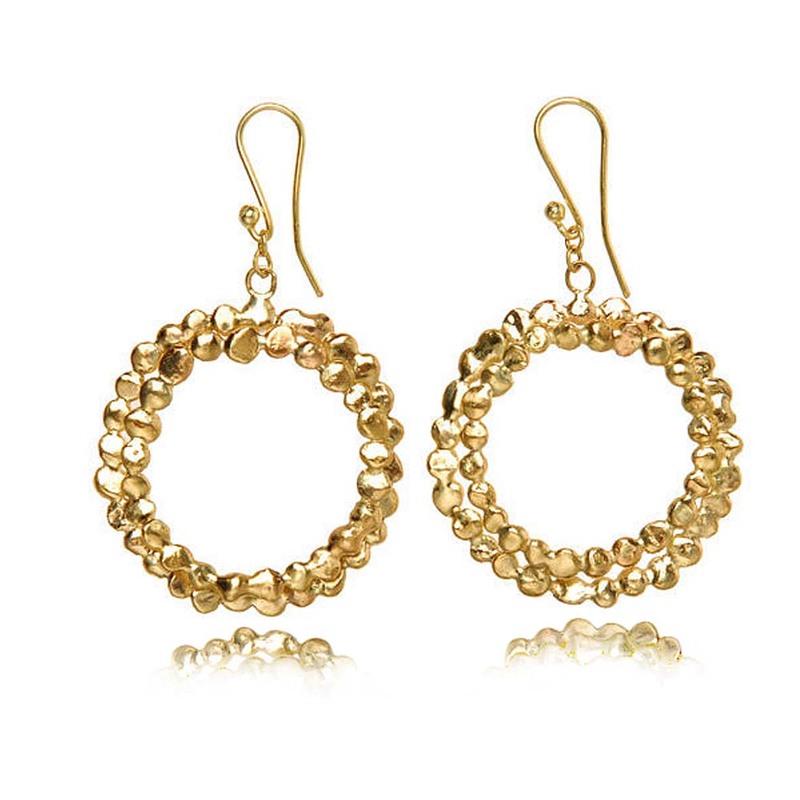 These handmade 18k yellow gold stud earrings, are made of eight light to dark blue sapphires into linked gold chain. 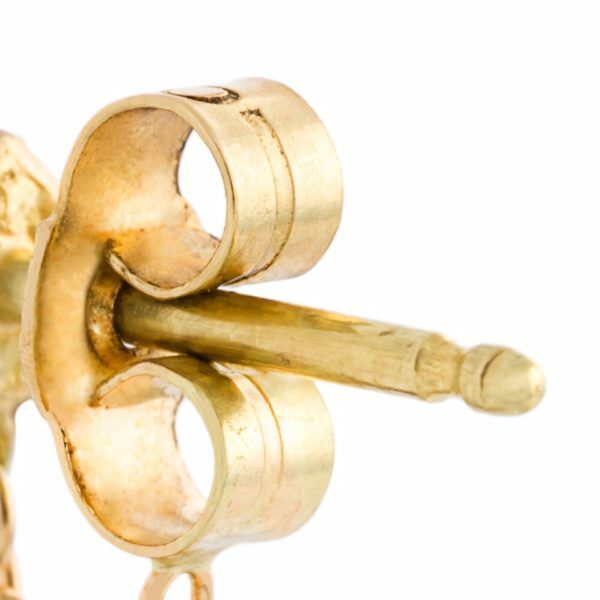 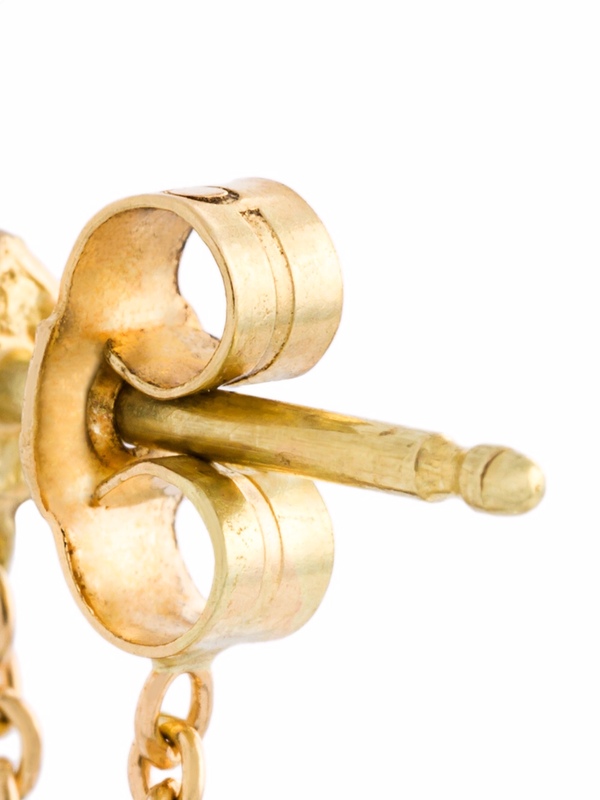 The drop length from the top of the handmade gold nugget is 1,5cm. 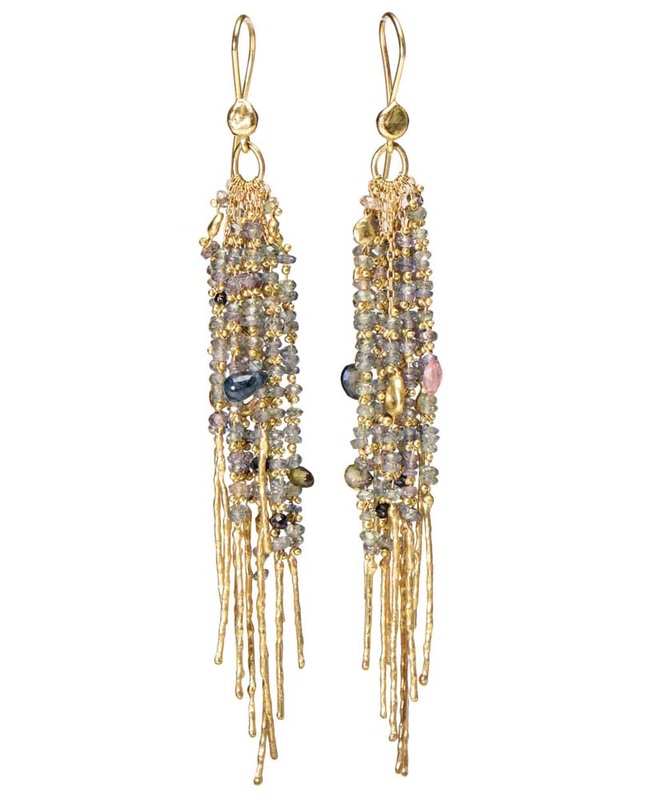 Please note this Natasha Collis item is handmade, therefore unique and may vary slightly from the item pictured.